Do Organic Apples Contain Wax? Is It Hard to Eat an All Organic Diet? Is Non-Organic Coconut Oil Bad? Who Should Eat Organic Food? LoveToKnow Organic is here to help you learn more about the benefits of natural and organic foods. At LoveToKnow Organic, our mission is to help you learn more about the benefits of organic foods. Whether you're interested in promoting a healthier lifestyle for your family, reducing your impact on the environment, or simply using your purchases to reflect your sense of social responsibility, we're here to help you make smart decisions about the food you choose to eat. As organic food moves into the mainstream, consumers have more purchasing options than ever before. You can find a small selection of organic food in most local grocery stores. There are also specialty organic food stores, as well as websites selling organic food online. If you wish, you can even arrange for organic food delivery. If you're not familiar with organic food, you may be surprised by the variety of choices available. 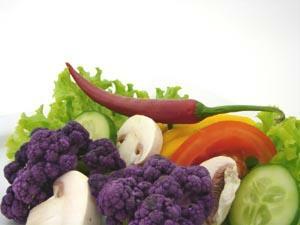 Organic vegetables are fresh and flavorful. Organic meats, such as organic beef and organic chicken, are a safe yet delicious alternative to ordinary supermarket meat. If you're in the mood for a sweet treat, you can even enjoy desserts made with organic carob chips. Learning how to prepare organic meals isn't as difficult as you might think. Even if you hate to cook or you're simply too busy to spend much time in the kitchen, implementing a few simple swaps can help you enjoy the benefits of a healthier diet. At LoveToKnow Organic, we'll help you start your day off right with organic breakfast recipes. We'll even offer suggestions for creating an organic spice rack and cooking with unrefined organic coconut oil.